As one of Britain’s most celebrated architects, Basil Spence’s beautiful and varied oeuvre has until now defied proper analysis in the wider twentieth century cultural context. 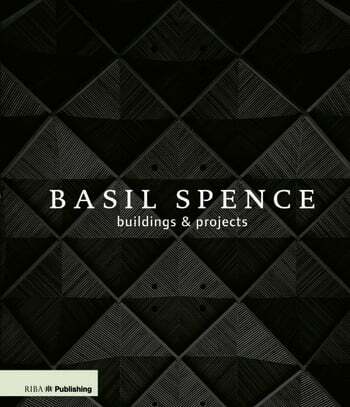 Basil Spence: Buildings and Projects combines critical essays with a chronological framework to paint a vivid picture of the architect and his time. Lavishly illustrated with photos and drawings from the archive, many published for the first time, the book reveals the virtuoso draftsmanship that lies behind Spence’s groundbreaking architectural vision. The book falls into two parts – a critical historical section and a gazetteer. Part I comprises four chronological sections. Each begins with a chapter containing an overview of practice history and of Spence’s public and personal life, followed by chapters setting Spence’s key buildings in their historical and critical context. Part II contains a comprehensive gazetteer, documenting and illustrating all Spence’s projects, giving a sense of the range and diversity of Spence’s life and work. Elegantly designed and packed with superb period photography and drawings, Sir Basil Spence: Buildings and Projects is a landmark event in the literature of architectural history.|In the 1950s and 1960s, Basil Spence – architect of Coventry Cathedral and of Sussex University – was Britain’s best-known architect. However, Spence’s varied and superbly crafted oeuvre has until now defied proper analysis in the wider twentieth-century cultural context. Basil Spence: Buildings and Projects combines critical essays with a chronological framework to paint a vivid picture of the architect and his times. Lavishly illustrated with photos and drawings from the archive, many published for the first time, the book reveals the virtuoso draftsmanship that lies behind Spence’s groundbreaking architectural vision. The book falls into two parts – a critical historical section and a List of Works. The first part comprises four chronological sections. Each begins with a chapter containing an overview of practice history and of Spence’s public and personal life, followed by chapters setting Spence’s key buildings in their historical and critical context. The second part contains a comprehensive List of Works, documenting all Spence’s projects and illustrating many of them in order to give a sense of the range and diversity of his life and work. Elegantly designed and packed with superb period photography and drawings, Basil Spence: Buildings and Projects is a landmark event in the literature of architectural history.